Darwin Digital is a Swiss digital agency that offers comprehensive services in terms of eCommerce website creation and has many years of experience of working with BigCommerce. 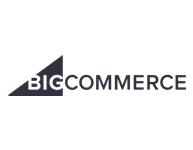 BigCommerce is an eCommerce platform that powers over 60,000 online platforms. Our web developers have many years of experience on BigCommerce and know the platform by heart. Darwin Digital will setup and configure your BigCommerce installation so you can begin selling. This includes SEO for Google, multilingual setup and making sure the checkout workflow is working correctly. Darwin Digtial will customise your BigCommerce store to ensure that the design and layout of your store product and checkout pages tie in with your visual identity and user-rquirements. The BigCommerce platform is ideal for small and medium businesses that want to expand their online sales. Due to its affordability and ease of use, BigCommerce works well for you if your budget cannot stretch too much. In addition, BigCommerce does not charge any transaction fees. BigCommerce is ideal for bricks and mortar retail stores who want build a web presence to sell their products directly online. If marketing, selling and turning over stock online is your game, BigCommerce is a great place to start as it’s fully dedicated eCommerce solution that integrates well with Google Ads, SEO, email marketing and CRM systems. Because BigCommerce is a hosted-solution, you will not need to worry about hosting and software maintenance. We remove the difficulty of setting up your online business, by personalising the platform to fit your needs, while ensuring it is as secure as possible.